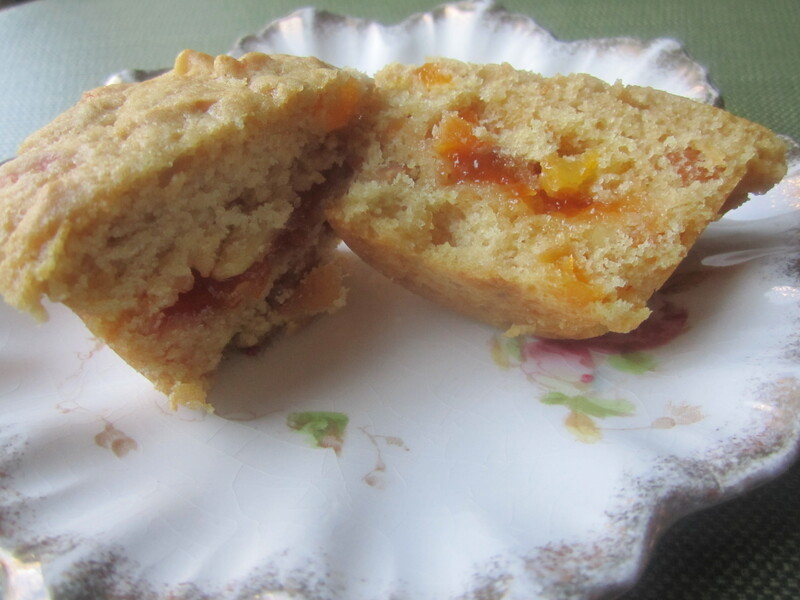 The quest for an apricot almond muffin came when my husband wistfully reminisced about the ones he used to get from Magnolia’s, a great little cafe in our town, which unfortunately closed. I searched the internet and finally came up with one that had the ingredients that I was looking for. Mariani Dried Apricots are my favorite. I tried other brands but they were bitter, not something you want in a muffin. 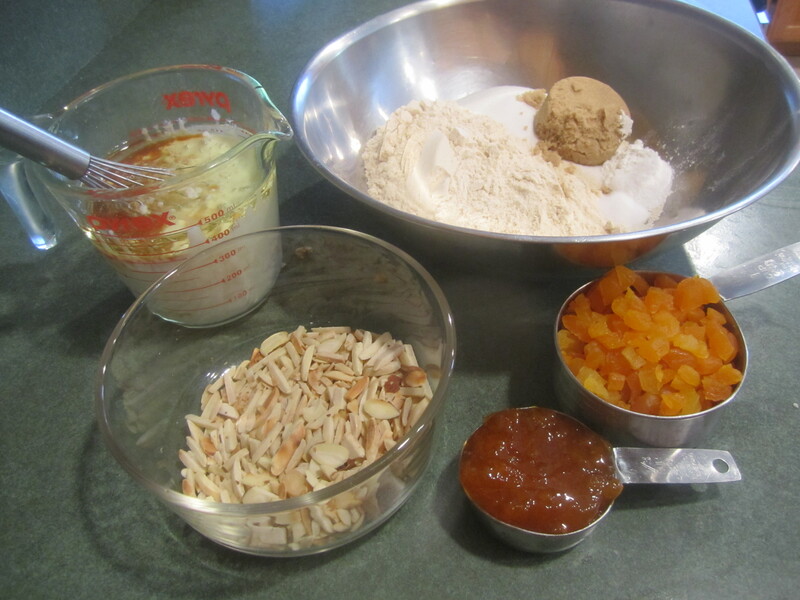 If the Mariani brand is not available, just make sure you taste the apricot before using them in the recipe. 6 oz. package of dried apricots, diced 1/4 inch. Preheat oven to 375 degrees. 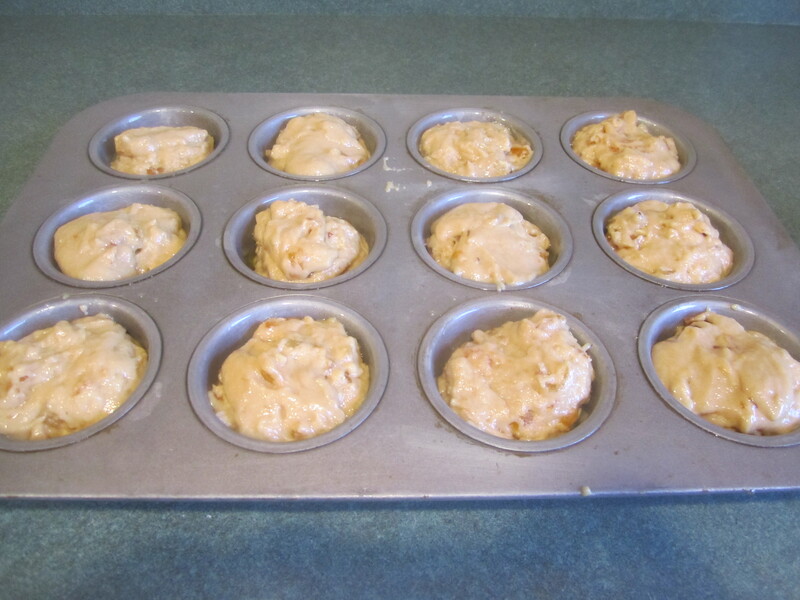 Spray a 12 cup muffin pan with canola oil spray. To toast almonds, place in medium non-stick skillet, on medium heat and stir occasionally for 5-10 minutes, until they start to color. Keep a watchful eye on them, they burn easily. 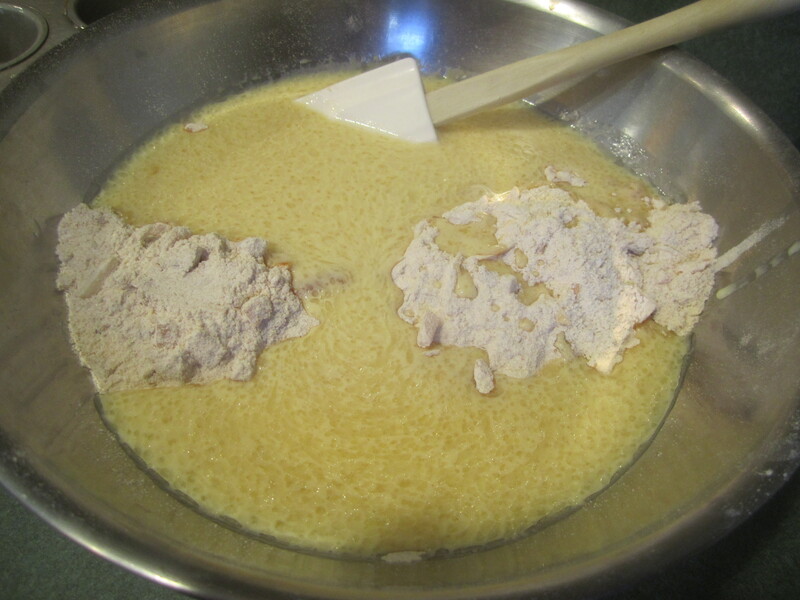 In a large bowl place the flour, sugars, baking powder & soda and salt. Stir together with a whisk. 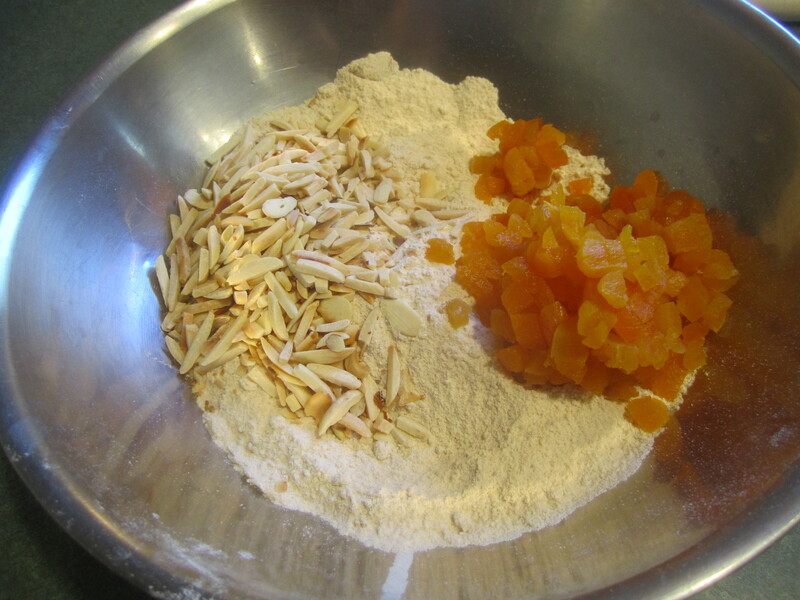 Add the diced apricots and almonds and stir together completely with the flour mixture, using a rubber spatula. Combine sour cream or buttermilk, vegetable oil, eggs, vanilla and almond extracts in 2 cup glass measuring cup and stir together with a whisk. Fold into the dry ingredients until just combined. 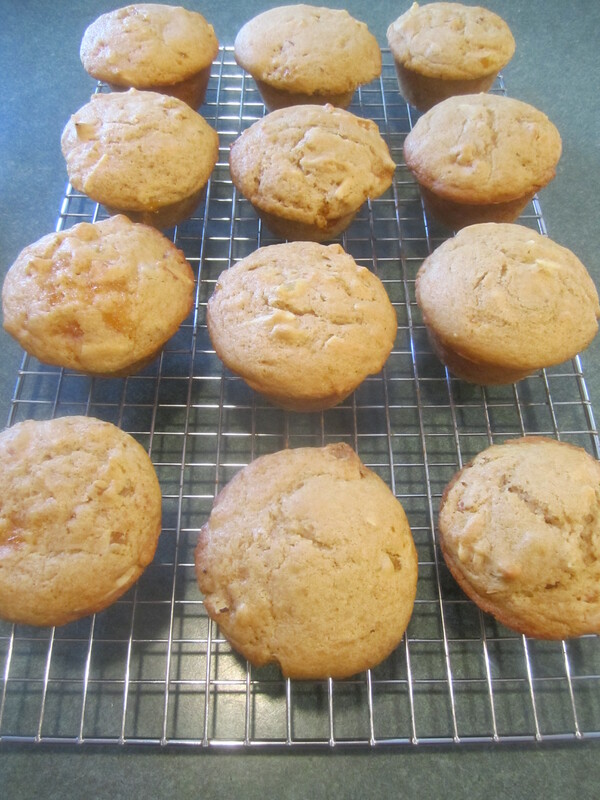 Place about 2 tablespoons of batter into each muffin cup. 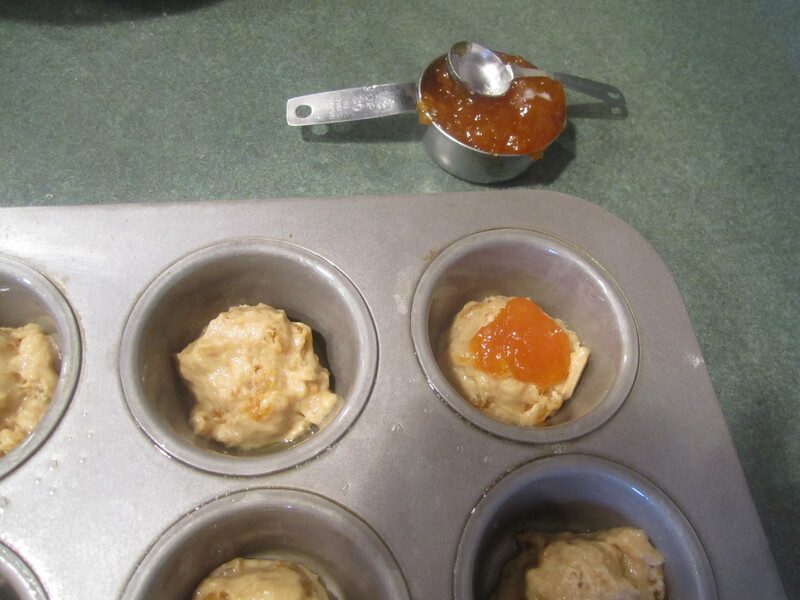 Place about a 1/2 teaspoon of apricot preserves in the center of the batter. 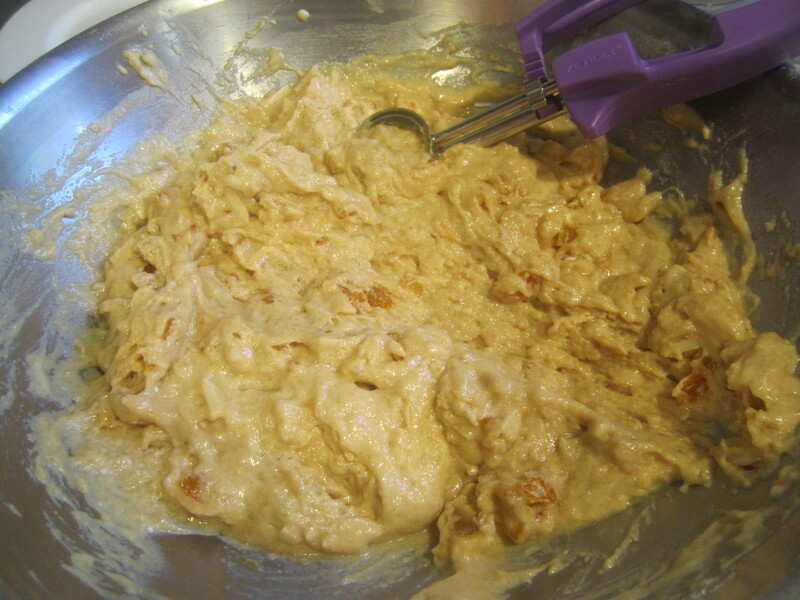 Place another 2 tablespoons of batter on top. 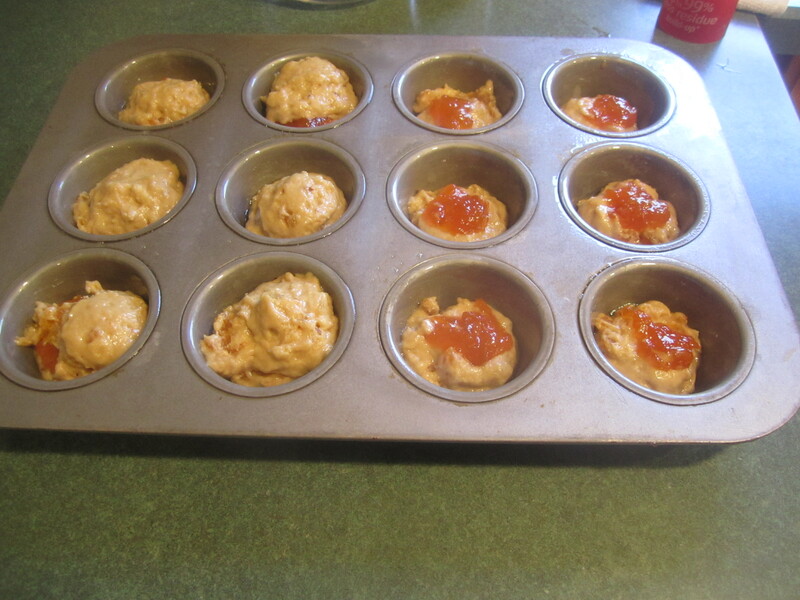 Place muffins into the oven and bake for 20-25 minutes, until toothpick inserted comes out clean (not in the middle where the jam is :).) 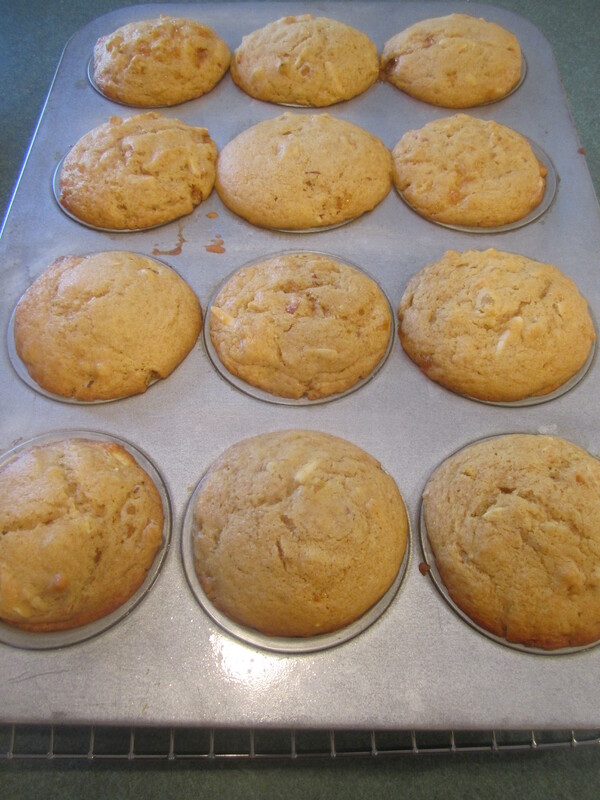 Cool on baking rack for 5 minutes and then remove muffins onto baking rack to cool completely. These sound FABULOUS! I can’t wait to try them! Thanks Vicki! See you Tuesday!